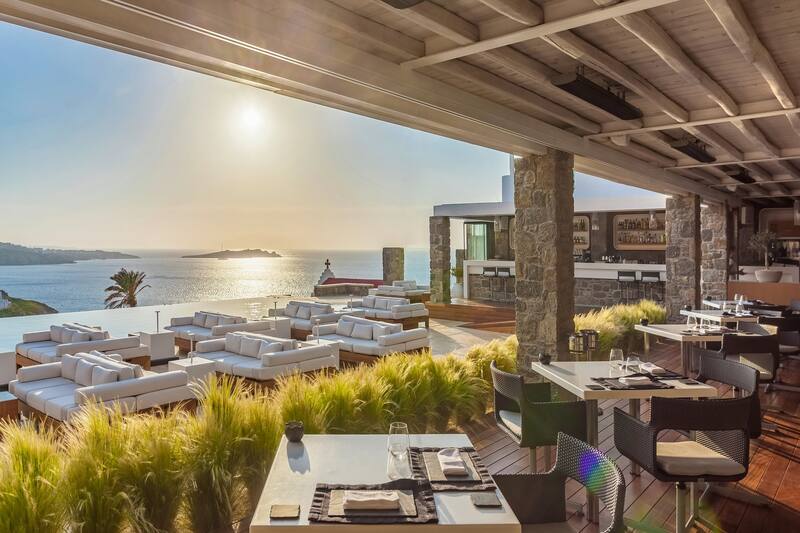 On a 10 acre oasis by the sea, only 3 km away from Mykonos town, the Bill & Coo Coast luxury hotel in Mykonos brings romance and exquisite design under the veil of Cycladic tradition and in the embrace of the Bill & Coo Suites and Lounge, exactly 10 years after its opening. 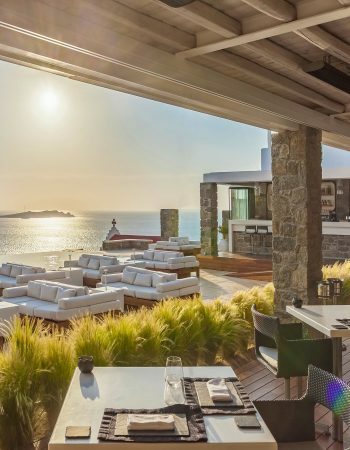 Paying tribute to beachfront luxury, this 5 star hotel in Mykonos promises an unforgettable holiday experience in its 15 elegant and well-appointed suites overlooking the sea, the miraculous sunset, the sacred island of Delos and the picturesque chapel of St. John. 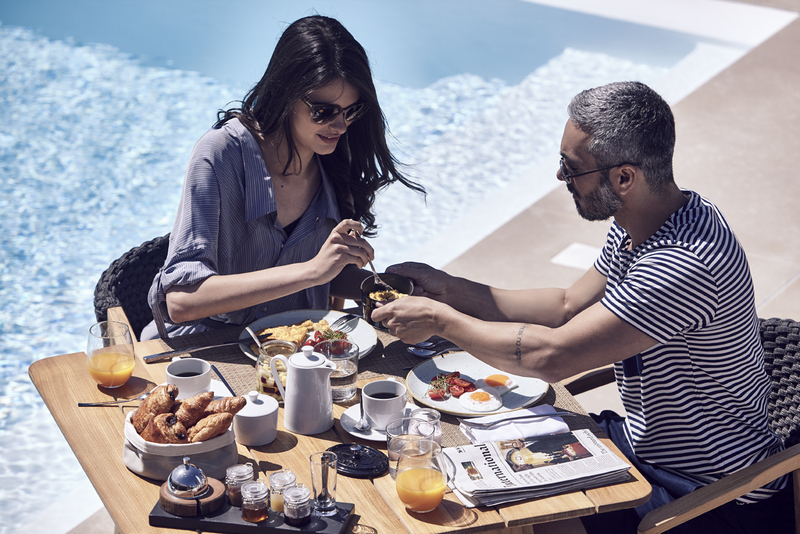 With respect to privacy and personal space, the Bill & Coo Coast luxury 5 star hotel harmoniously blends luxury with the bliss of the seaside. 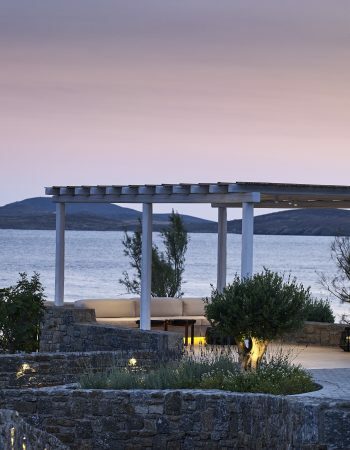 From the moment you arrive at Bill & Coo Coast, a deep sense of tranquility washes over you. 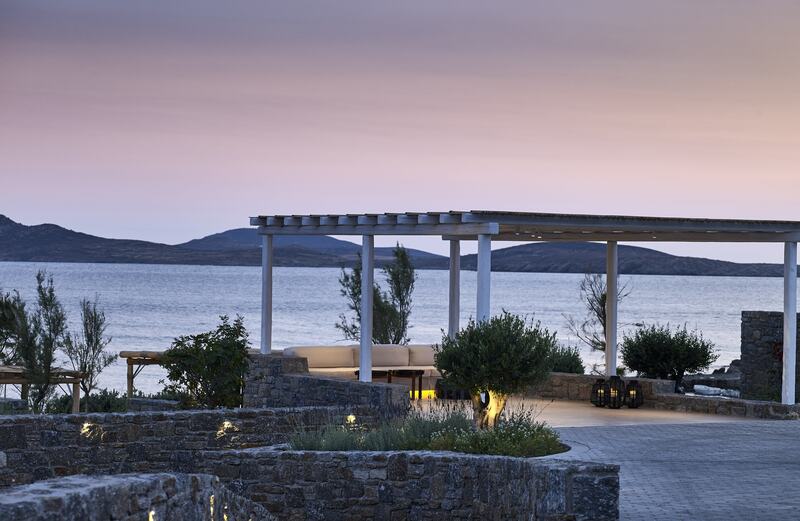 It features a dream combination of gorgeous setting, pristine accommodations and superb amenities. Make yourself at home in your own luxury suite. 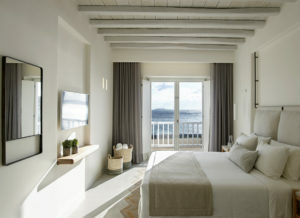 Each suite is decorated in elegant, contemporary style, with neutral tones complemented by thoughtful amenities. 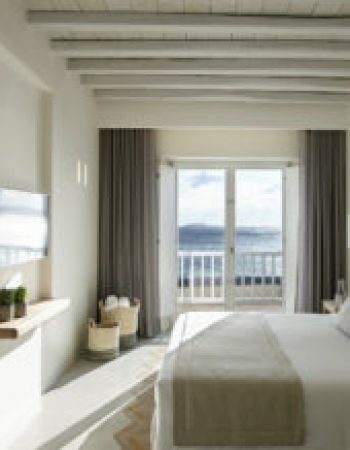 Expect enormous beds, crisp white fabrics and ultra-modern furnishings.